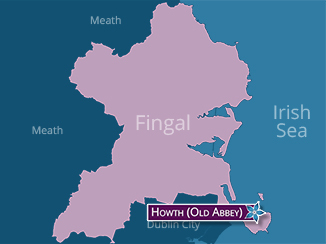 The abbey ruins are situated on the Hill of Howth. The first church was reputedly founded here by King Sitrygg in 1042. Much of the current ruins date from the 15th and 16th centuries. 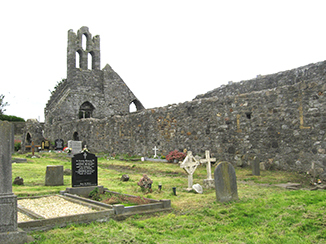 The tomb of Christopher St. Lawrence, ancestor to the Earls of Howth, is preserved among the ruins, and dates from 1470. To thy fair soul now number’d with the blest! 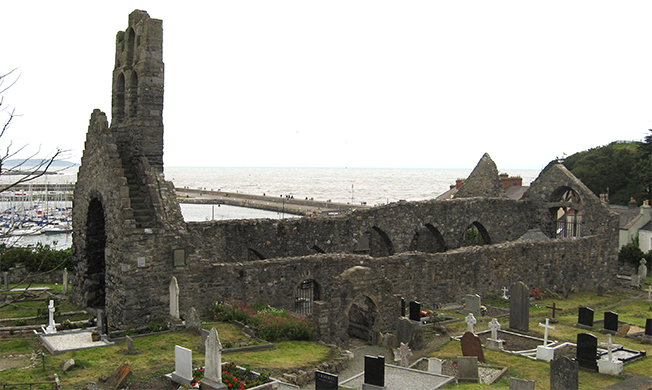 Many stones record deaths at sea, veterans of Irish and World Wars, former members of the Royal Navy, members of the St. Laurence family, and “a William Wylde Esquire, of Worcestershire, a Plantagenet”.